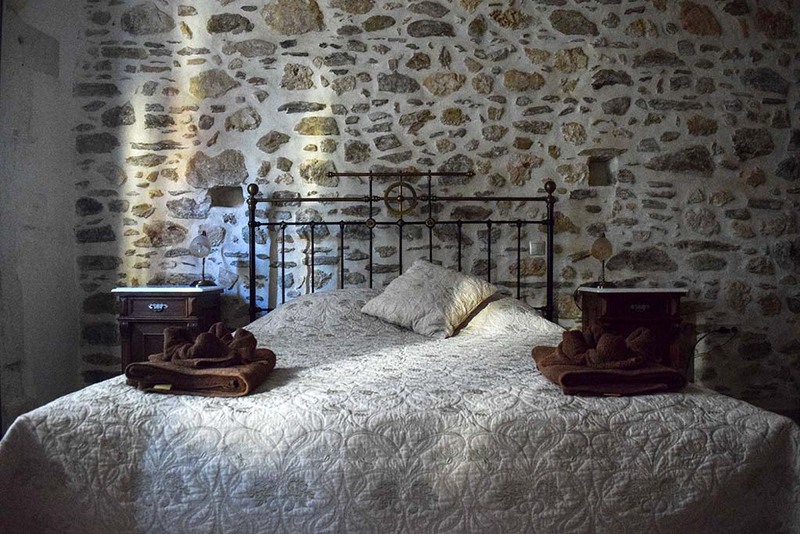 Villa APOSPERITIS is one of the jewels of the village of Panormo: a listed old stone house situated in the centre of the little village in the middle of the north coast of Crete, in Greece. The house was renovated in 2012 & in 2017 and consists of three spacious apartments hosting 5, 4 and 2 guests accordingly or, more often, 11 people. 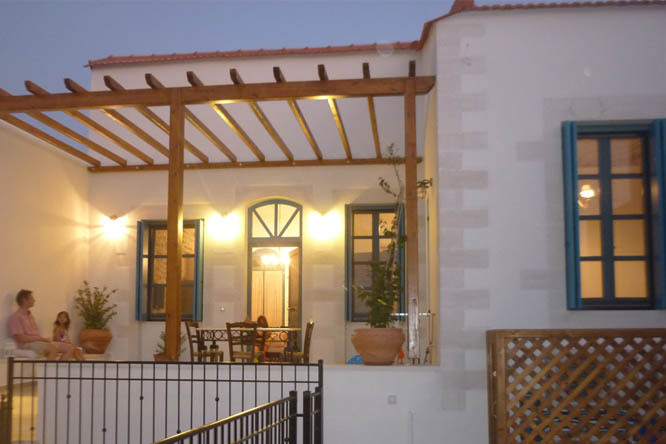 It is a traditional Cretan house: during the renovation all traditional architectural materials and details were respected which gives a very authentic result. We have travelled extensively and rented many vacation rental properties. Paulina's villa tops them all. The villa is beautiful and comfortable. 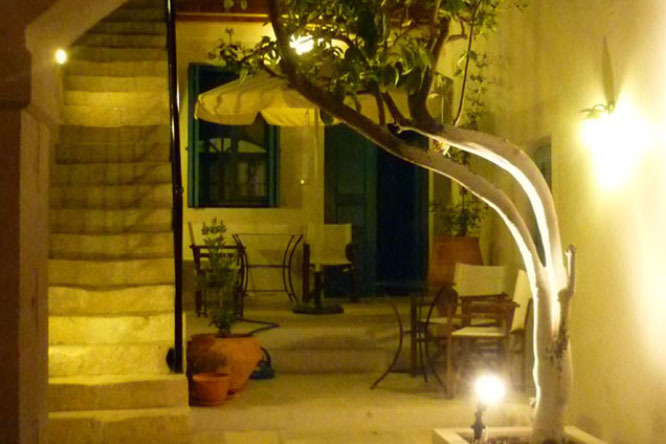 It is perfectly situated in the enchanting town of Panomo. We hope to visit again soon. It was the best vocations we've ever had. The Villa is in the middle of a small village, everything is very close and all people are so friendly. The villa is very comfortable and beautiful with a good design. The owner of the apartments Pavlina is a very pleasant, kind, generous and cheerful woman. We really fancy to come back to that villa next time! Super séjour !! Nous avons tout aimé ! La maison très spacieuse, très belle et très bien située. L'accueil très chaleureux et très généreux, des propriétaires adorables. La maison est très bien entretenue et idéalement située, très proche de tous les commerces et la plage est à 2 mn à pied. Nous recommandons cette location à tous les couples ou familles qui recherchent un endroit paisible ou se reposer, sans avoir besoin de voiture. We stayed with 2 families - perfect for us and the children. Easy access to the beach, cafe and restaurants as it is all only minutes from the house. The village itself has also everything you need for your holidays. But to see the great beaches of Crete you do need a car. Pavlina's Guide Book was gold. Lots of great and helpful tips which made our stay very special and easy. We certainly try to come and stay again. This place is a hidden gem indeed! Set in the picturesque village of Panormos, we rented the apartment on the ground floor which was large and extremely beautiful! The apartment is a stroll away from the beautiful beaches, butcher, bakery, supermarkets, restaurants etc. Cannot seem to recommend it enough and will definitely return again! These two fantastic apartments, nestled in an unspoiled fishing village, are perched on a little hill above the church looking out to sea. The setting is wonderful, the apartments are beautifully renovated, and the internal court yard & rooftop terrace give the whole place a truly magical quality. We can't thank Pavlina & her wonderful helpers enough for making sure that everything was absolutely perfect! Wake up in magical Crete, breath the sea in front of you, live in a fascinating & authentic old village house renovated with love and talent.